Cute Hello Kitty Tutu, size 12-18 months. Is Red, Blue, Yellow and White. This Item is ready made and ready to ship! To fluff and get wrinkles out: Spray with water and brush with fingers let dry. 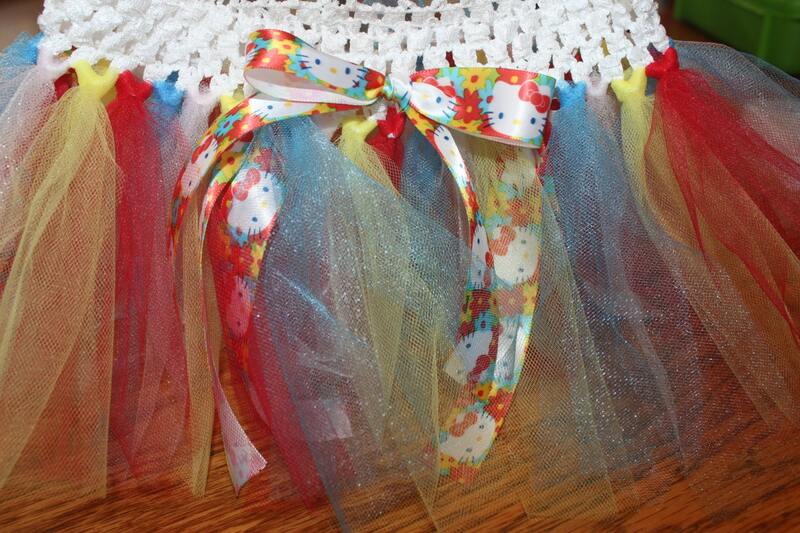 Washing: Tutu can be hand washed and brush with fingers and line dried when needed. Spray with water and wipe with dryer sheet to remove static. 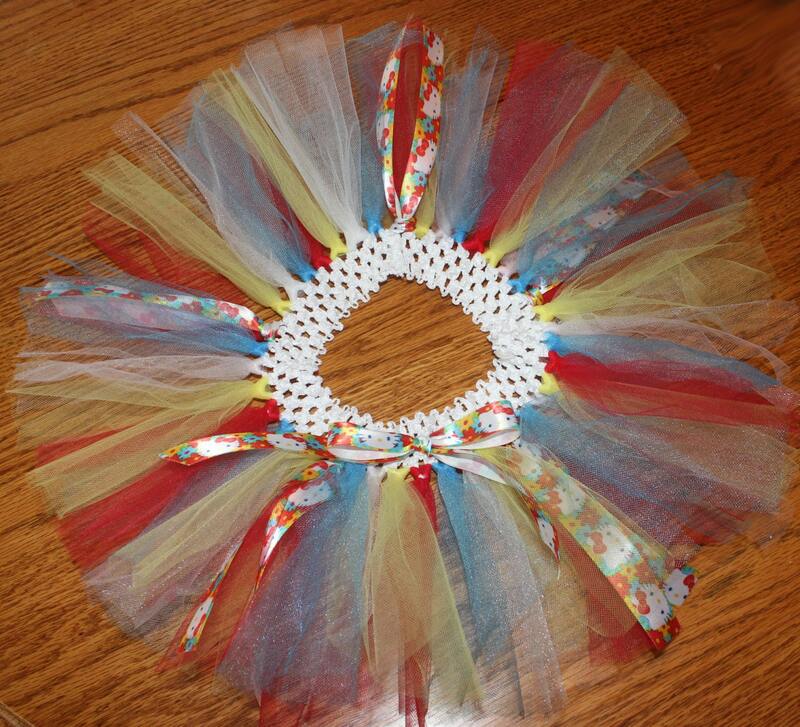 *Custom Tutus are available and can be made in size and/or color of choice. Massage for details. **Massage for shipping cost outside the US.